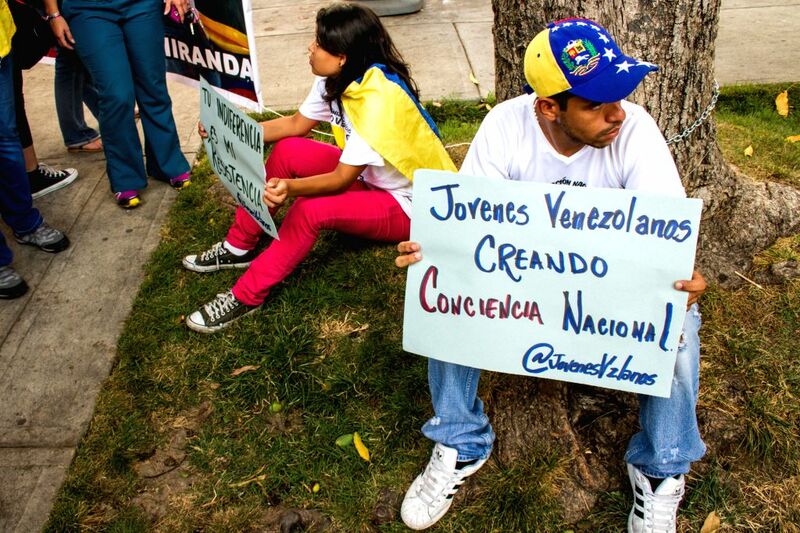 CARACAS, April 30, 2014 - Supporters of Leopoldo Lopez hold banners with slogans to support Venezuelean opposition leader on his 43rd birthday in Palos Grandes, Caracas, Venezuela, April 29, 2014. 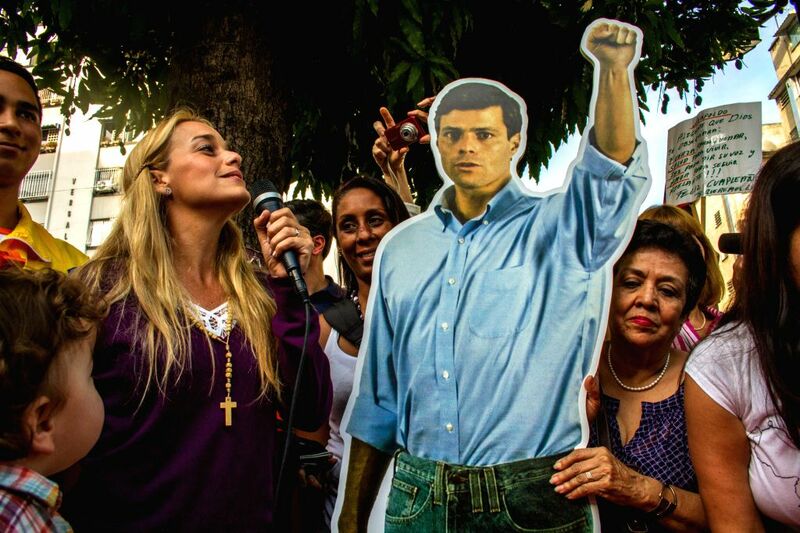 Leopoldo Lopez has been detained in Ramo Verde Jail since Feb. 18, 2014. Lilian Tintori (2nd L), wife of Venezuela's opposition leader Leopoldo Lopez, delivers a speech as she celebrates with her children on Leopoldo Lopez's 43rd birthday in Palos Grandes, Caracas, Venezuela, on April 29, 2014.